Rhododendrons make for a splendid display in any formal garden. These evergreen and deciduous trees and shrubs flower between late winter through to early summer, granting us a beautiful backdrop of large, delicate, exotic-looking flowers. Not only did Lady Gilbert love them, here’s 10 reasons why we do too! Lady Gilbert planted her Rhododendrons within the formal gardens at Grim’s Dyke. This did take some planning, as they don’t grow or flower well, if planted in the shade of dense trees, such as beech and sycamore. Perfect Rhododendron companions include flowering cherries, azaleas and Japanese maples. The Rhododendron genus is the largest of the Ericaceae family. Officially, there’s as many as 1,024 species – but it’s taxonomy is quite complex. There’s 300 tropical species – with 55 known species in Borneo and 164 in New Guinea. Originally referred to as Chamaerhododendron ((low-growing rose tree), Rhododendrons have been known since the sixteenth century. However, they weren’t formally named until Linnaeus listed five species of Rhododendrons in his 1753 book Species Plantarum. Interestingly, there were six species of Azalea listed in his earlier 1735 book Systema Naturae. 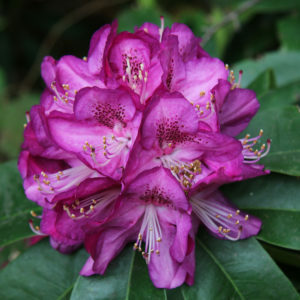 Since their first official naming, the Rhododendron species has been revised and subdivided into a hierarchy of subgenus, section, subsection and species. Rhododendrons need acid soil with a pH of 4.5-6. and they grow in naturally peaty soils. This means they like air pockets in the soil, as opposed to heavy clay soil or silty fine soil. You can add organic matter, such as conifer needles, leaf mould or bark, to help improve the soil for Rhododendrons. #7: They’re a national flower! Rhododendrons are the national flower of Nepal! The flowers are pickled, and the flower juice is also marketed – with dried and fresh flowers often being added to fish curry. 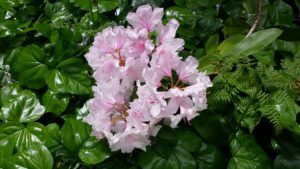 Azaleas are related to Rhododendrons. They make up two subgenera of Rhododendron but, unlike Rhododendrons, Azaleas have only five anthers per flower. The largest species of Rhododendron is the protistum var. giganteum variety. It grows up to 100 feet tall (30 metres). The smallest species grows between 4-40 inches tall (10-100 centimetres). 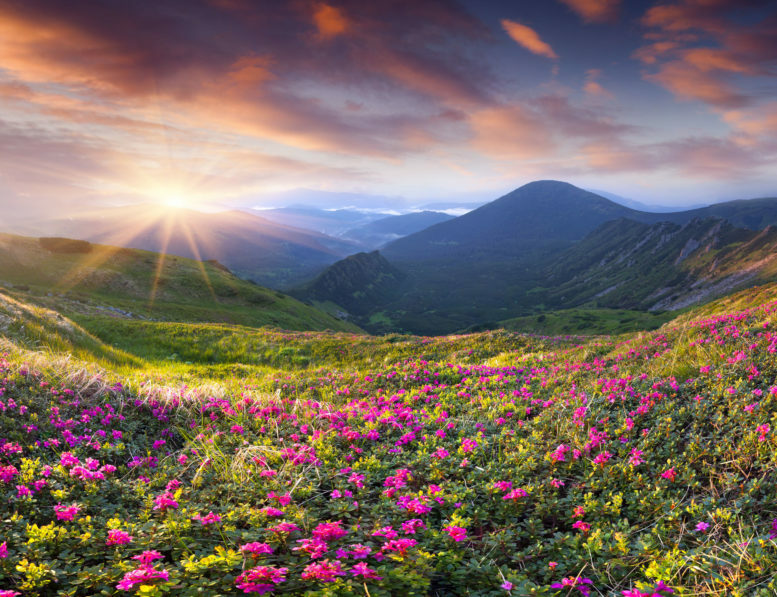 The flowers of Rhododendron plants have been used to make fruit and flower wines in the Indian state of Himachal Pradesh. 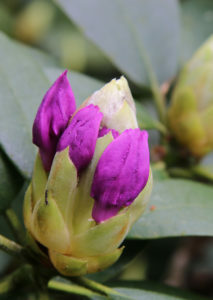 Although they’ve long been used in traditional medicine, some species of Rhododendron are poisonous to grazing animals, due to the grayanotoxin in their pollen and nectar. So much so, that even eating honey made by the bees that have fed on the flowers, can result in illness!